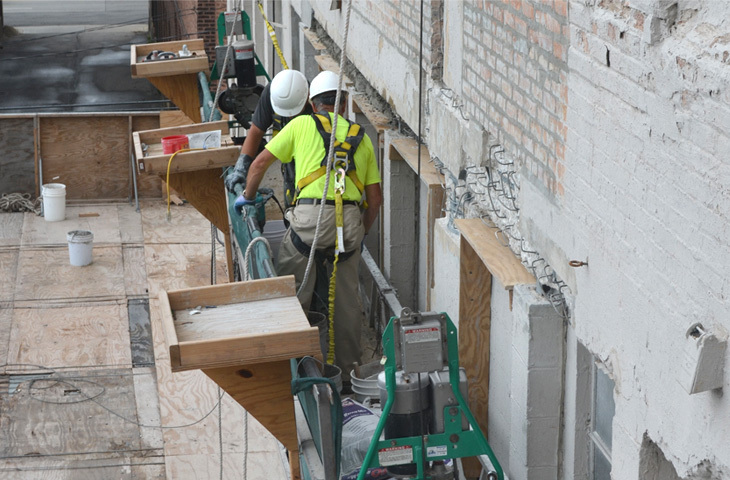 Chicago Concrete Wall and Ceiling Repair Contractors | Basic Brothers Inc. 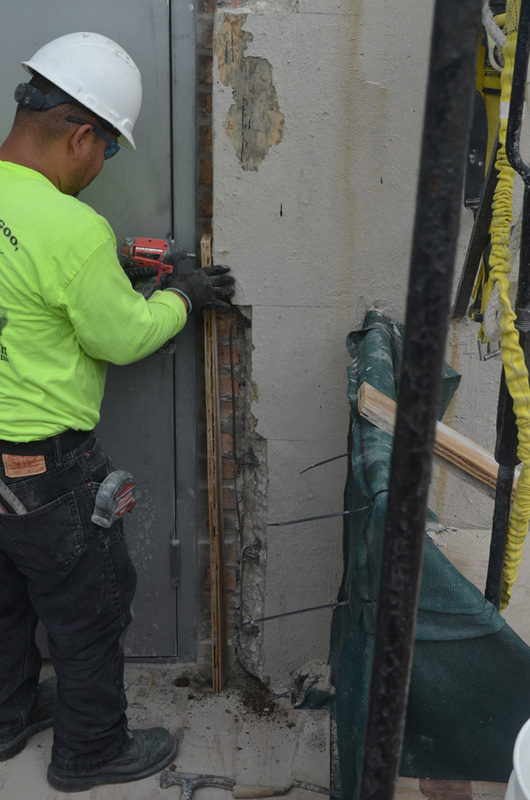 Concrete Structure Repair – Basic Brothers Inc.
Over the years, the reinforcement steel within the concrete begins to rust and expand which therefore causes the concrete to crack and deteriorate. Often times, this can also result in the concrete dislodging from the building and falling. Basic Brothers union workers start by demolishing the affected concrete to allow for access to all sides of the steel reinforcement. We then either replace the reinforcement or clean and coat it if the damage isn’t too great. All of the edges are keyed in, as well as anchored to the existing concrete wall or ceiling, to ensure that the patch stays. We then either patch the concrete or form out and pour new high-strength concrete formulated specifically for concrete repairs.